These earrings are made of... Sterling Silver. (This item is also available as a dangle) A layer of patina gives them a well loved, completely carefree look.The patina ages beautifully. 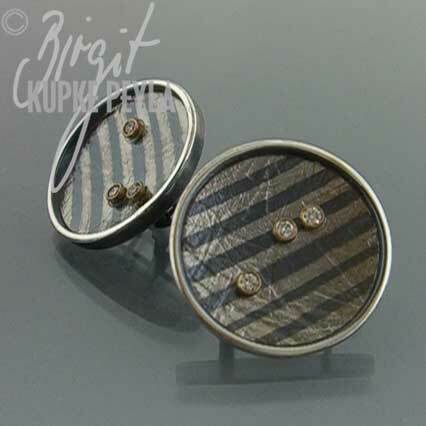 Over time these earrings will get a bit more shiny and show off the rich textures. If you want more impact, check out some companion pieces!